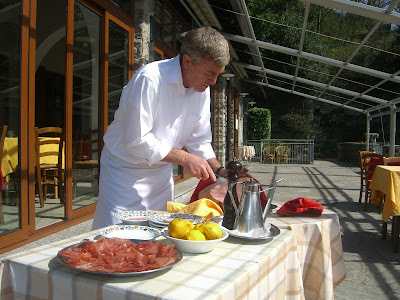 I had high hopes for the lunch I’d planned at Isola Comacina for our second day on Lake Como. 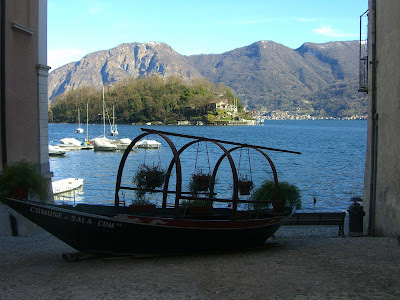 To make our 12:30 reservation, I used the lake’s public transportation website to calculate that we’d need to get up bright and early for the 10:30 ferry to the town of Sala Comacina, from which we would hire a private boat to the only island on Lake Como for spectacular views and a memorable meal. 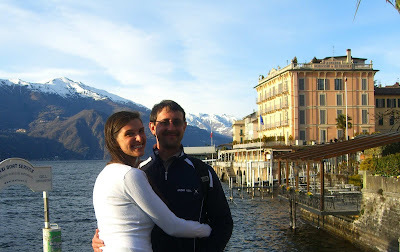 With this schedule in mind, we set our alarms and unwillingly awoke the next morning (yes, 9am was one of the earliest wake-ups we’d had in awhile), stepping bleary-eyed into the harsh morning sun. We arrived to the dock just in time to be not-so-politely told that the ferry to Isola Comacina wouldn’t be running… oh, for another two weeks or so. Generally, traveling in the off-season is the way to go. Prices are lower, restaurants are less crowded, you always seem to get the best room the hotel has to offer, and there’s always one more teensy spot under a complete stranger’s seat on the local train into which your ridiculously overstuffed backpack can be wedged (as opposed to perching yourself on top of it for the duration of a six-hour train rain, as is more likely the case the rest of the year). Indeed, this was the first logistical snag we’d come across in our three-month winter journey through Switzerland, Austria, Germany, France and Italy! And it wasn’t just a tiny snag that could be easily ignored. It was more like the “snag” that my now-husband slashed through his shirt while attempting to jump a fence in the wee hours after his bachelor party, consequently causing his left ring finger to swell to three times its normal size. A week before our wedding. But, as usual, I digress. In order for us to reach the island for our lunch reservation, we would now have to take a local bus down the coastline of the lake, passing through over a dozen impossibly quaint and virtually identical villages at which there existed a thirty-two-percent chance the non-English-speaking driver would stop, with the hopes of miraculously landing ourselves in tiny Sala Comacina. 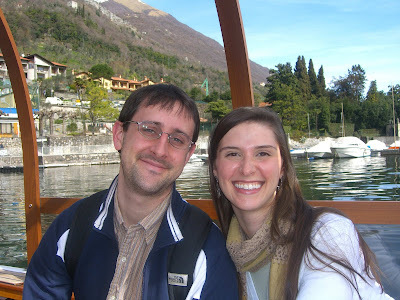 Now Phil and I have done our fair share of traveling in some random places, but I wasn’t sure if we wanted to risk our second and last day (which happened to be a gloriously sunny one at that) on Lake Como wandering around aimlessly, attempting to communicate in Italo-Spanglish with crusty one-toothed fishermen in order to find our way back to the hotel at the end of a fruitless day. We found ourselves asking, was it really worth it? Would the views be THAT spectacular, the meal THAT memorable? In the end, we found ourselves flagging down the bus for a jostling ride with locals through villages straight from an Italian storybook, on roads never meant to accommodate two cars heading in opposite directions, let alone a rambling, veering bus. Many times it seemed we would never make it around this corner or past that donkey-pulled cart, and the entire time we were nervous we would miss our stop. Finally, thanks to a glimpse of a rusty sign announcing our arrival to Sala Comacina, we stepped off the bus, searched the water’s edge for a boat willing to make the short ride to the island, and enjoyed the most memorable meal of our three months in Europe. And one of the top ten most enjoyable meals of my life. I say top ten most memorable because I’m including home-made meals in that count. But, truth be told, lunch at Locanda dell’Isola Comacina was one of the top three best restaurant meals I have ever experienced. You know how sometimes all elements combine and surpass expectations? That stressful, jostling bus ride provided the perfect dose of local color and really made us feel as if we’d worked hard to earn our lunch. Because we were there in the low-season, we were one of only two tables at the lunch service, making us feel as if we’d discovered an unknown local gem (I’ve since read that the island can become quite crowded in the high season and I must say that I wouldn’t have enjoyed myself nearly as much had that been the case). The other table was occupied by a crisply-dressed Italian couple who were clearly enjoying a clandestine rendezvous, judging from the difference in their ages, the obvious wealth of the man, and the way they made flirting glances while they shared food from each other’s plate. 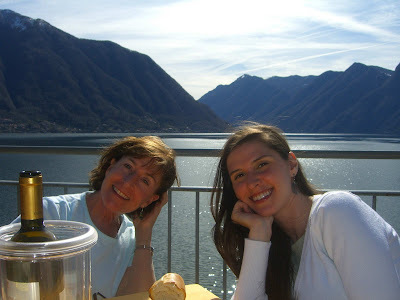 We really got the best seat in the house, in the corner of a sun-drenched deck that provided a panoramic view of the sparkling lake and surrounding mountains. The sun shining on our necks reminded us, after a long Swiss winter, that spring always follows the cold and snow. Both the bus trip and the boat ride to the island qualified as experiences you just can’t easily put into words, or convey through photos. They were examples of why traveling, why actively participating in someone else’s culture and way of life, are so freaking awesome. 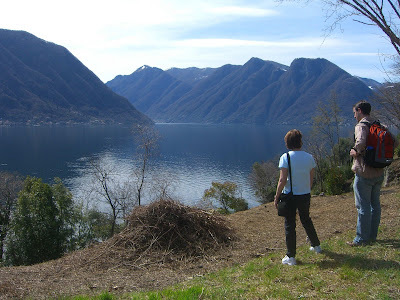 As stated before, Isola Comacina is the only island on Lago di Como, and it’s a tiny island at that. It contains some Roman ruins at its northern tip, but the real (and, well, only) reason to visit is the locanda with its accompanying restaurant. Surely the views can’t be beat. 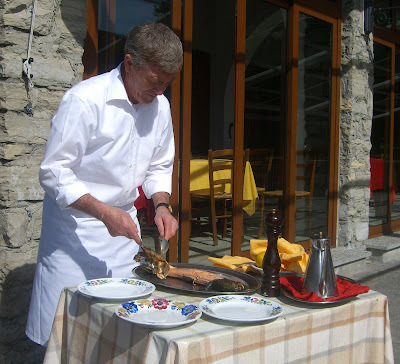 The restaurant at the Locanda dell’Isola Comacina offers a fixed menu that has remained unchanged since 1947. I’d never seen the expression “don’t fix it if it ain’t broke” lived so fully and to such success before. Little did we know that we were in for six courses of wine-soaked, olive oil-drizzled, sea-salt showered bliss. 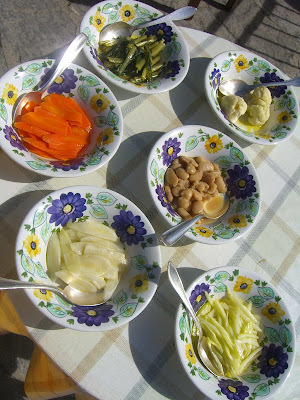 The first course really consisted of ten different antipasti, each of which would have been sufficient on its own but together informed us of what we should expect from the rest of the meal. 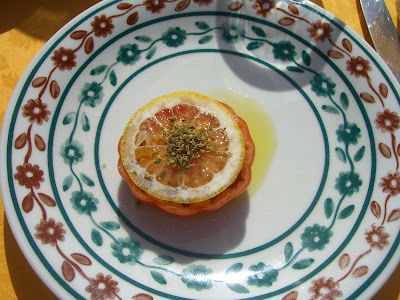 The antipasto all’isolana was a halved tomato topped with a paper-thin slice of lemon, a petite pile of dried oregano, a healthy splash of olive oil, and a sprinkle of salt. Sounds simple, but let me tell you, it really worked, and I especially liked that the chef kept the rind on the lemon slice to provide an intense citrus flavor. 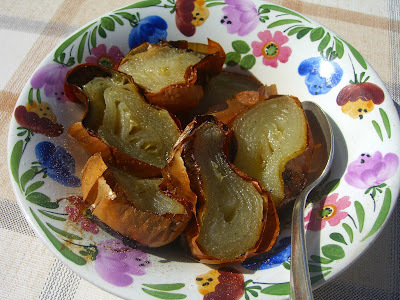 … while still others were warm, tender, sweet and slow-roasted, like the onions and beetroot. As we were attempting to make a dent in the vegetables, our server set up a carving table equipped with a platter of lemons, a bowl of salt, a peppermill, and a watering can full of olive oil. 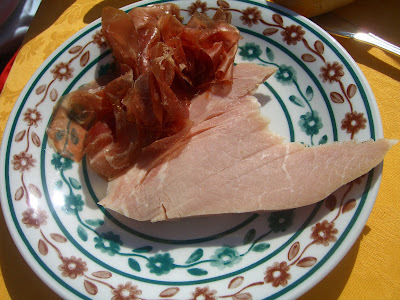 He used these condiments throughout the remainder of the meal, first carving each of us a slice of Prosciutto Tipo Praga (a hunk of steamed ham smoked in a wood oven) and presenting it with a pile of bresaola della Valtellina, air-dried beef aged in the Locanda’s very own cellar. And that concluded the first course. The second course turned out to be even more impressive than the first and the unanimous favorite amongst our table. 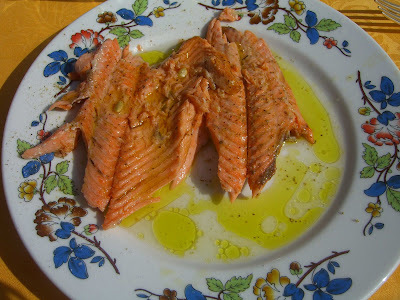 Our server brought out a whole fresh salmon trout that had been grilled on a wood grill. He boned the trota alla contrabbandiera tableside and generously adorned it with the ubiquitous lemon, olive oil, salt and pepper combination. It was perfect. Next up was rottami di pollo in padella, a butterflied chicken “crushed,” weighted, and fried in olive oil in a cast iron pot. 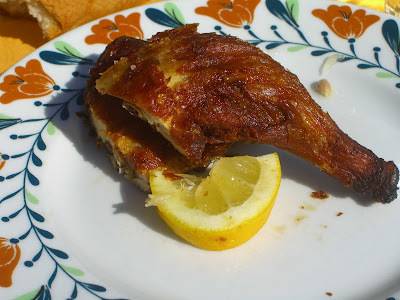 The skin was crisped before the chicken was finished in the wood oven, and the whole chicken was served to the three of us accompanied by a simply-dressed salad. Phil, a true Southern boy at heart, was beyond stoked that this meal included FRIED CHICKEN! Could it GET any more perfect? After the chicken was devoured and cleared away, the meal began to slow down somewhat. 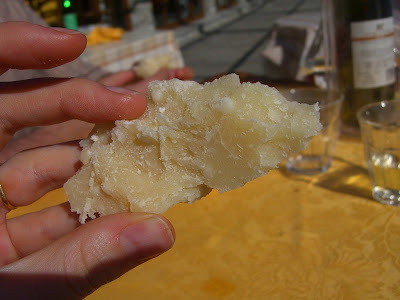 Our server brought out a huge wheel of Parmigiano Reggiano, cut us each two generous chunks from the middle of the wheel, and ceremoniously handed them to us for eating straight out of our hands. Nothing can compare to fresh, crystalline, salty parmigiano reggiano – certainly not the improperly stored and handled stuff sold at most grocers around the world. Finally we were provided with a sweet note to wind everything down and aid in the digestion of such an epic meal. 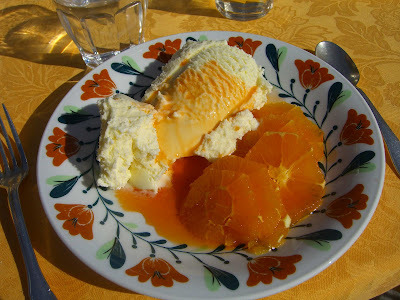 At our table, our waiter dexterously peeled and sliced juicy oranges which he topped with fior di vaniglia ice cream. He topped these with extra freshly-squeezed orange juice and a banana liqueur to finish the arance alla castellana. As we were finishing dessert, a ringing bell alerted us to the arrival of the owner of the Locanda. Dressed in period costume (though I’m not sure in which period people wore funny ski hats), he poured a bottle of brandy in a copper pot and told the story of the island as he lit it on fire. He recounted the tale of a curse on the island and asked me to help him add sugar and coffee to the burnt brandy and taste it to see if it was appetizing enough to ward off the curse for one more day. Honestly, at that point he could have asked me if I wanted to sleep with George W. Bush and I would have said yes. After four bottles of wine, the brandied coffee was the cherry on top of a unique and spectacular three-hour lunch. 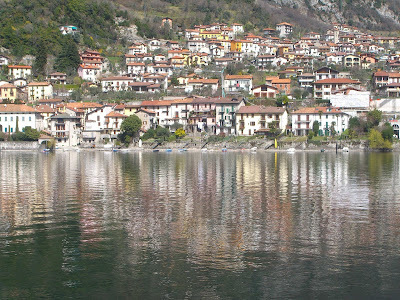 After lunch we waved down our boat driver who was waiting for us on the other shore and returned to Sala Comacina, hailed the local bus and happily rode a few villages down the coast, theeeeeeen jumped on the ferry to Bellagio. Truly and utterly a perfect day. How about you all out there? I would LOVE to hear about the most memorable meal of your life. That was awesome - almost felt you were here narrating the story to me! Loved your bus journey - immediately made me think of Peru and the tale of the hornkey! going there, and now it is at the TOP of my list of things we will do! 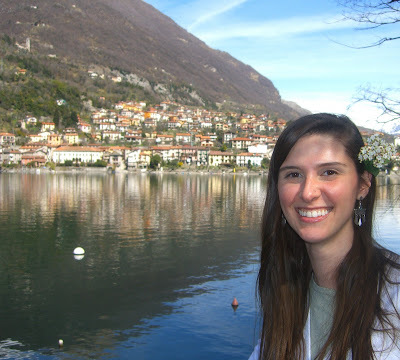 Hey Lunasee, I'm SOOO glad you found my blog!! Hope you enjoy Comacina and would love if you report back after your trip:) It's so beautiful there. Hello, I just became a part of this forum here and I would love to be a part of it. Just enjoy the environment here. Excellent work by the admin and each member here. 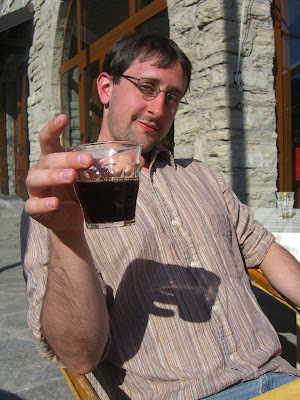 [url=http://www.home-businessreviews.com]home based business[/url] that reviews various great home business reviews. Anyway site owner make's more than up to 15K USD month. 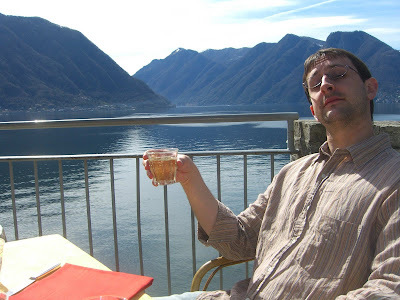 He discovered some very great home based business reviews. Because I found that these home business programs worked for me I decided to post it here so you also can make some extra cash in your free time. Owner of this website also discovered very simple way earn some extra money just taking [url=http://www.home-businessreviews.com/Surveys-For-Money.html]surveys for money[/url]. Anyway if you need to make some extra money feel free to check out this website. Hope you guys like it. I am planning to dine there this coming summer; it seems that you describe just what I had a mind - an extraordinary meal in an exquisite setting in a unique place. The last meal which had 2 of the 3 was the Jules Verne (at the top of the Eiffel Tower, in Paris). Can't wait! As Xrumer experts, we possess been using [url=http://www.xrumer-seo.com]Xrumer[/url] for a large immediately conditions and grasp how to harness the colossal power of Xrumer and adapt it into a Bills machine. We also yield the cheapest prices on the market. Numberless competitors see fit expect 2x or temperate 3x and a end of the term 5x what we charge you. But we have faith in providing great accommodation at a tearful affordable rate. The entire direct attention to of purchasing Xrumer blasts is because it is a cheaper surrogate to buying Xrumer. So we train to keep that contemplating in mind and outfit you with the cheapest standing possible. Not just do we cause the most successfully prices but our turnaround heyday after your Xrumer posting is wonderful fast. We intention have your posting done before you distinguish it. Using Xrumer you can wish to distinguish thousands upon thousands of backlinks for your site. Scads of the forums that your Site you force be posted on oblige great PageRank. Having your join on these sites can really mitigate build up some cover rank back links and genuinely aid your Alexa Rating and Google PageRank rating through the roof. This is making your position more and more popular. And with this better in regard as superbly as PageRank you can keep in view to witness your area absolutely rank high in those Search Motor Results. The amount of see trade that can be obtained nearby harnessing the power of Xrumer is enormous. You are publishing your situation to tens of thousands of forums. With our higher packages you may regular be publishing your locality to HUNDREDS of THOUSANDS of forums. Ponder 1 mail on a in demand forum will inveterately get 1000 or so views, with announce ' 100 of those people visiting your site. Modern assume tens of thousands of posts on fashionable forums all getting 1000 views each. Your traffic ordain function sometimes non-standard due to the roof. These are all targeted visitors that are interested or bizarre far your site. Deem how divers sales or leads you can achieve with this titanic number of targeted visitors. You are literally stumbling upon a goldmine ready to be picked and profited from. Takings Our Risqu‚ Prices at www.Pharmashack.com, The Central [b][url=http://www.pharmashack.com]Online Pharmacist's [/url][/b] To [url=http://www.pharmashack.com]Buy Viagra[/url] Online ! You Can also Falter upon Unrestrained Deals When You [url=http://www.pharmashack.com/en/item/cialis.html]Buy Cialis[/url] and When You You [url=http://www.pharmashack.com/en/item/levitra.html]Buy Levitra[/url] Online. We Also Performers a Signal Generic [url=http://www.pharmashack.com/en/item/phentermine.html]Phentermine[/url] In search the duration of Your Regimen ! We Huckster Take-over quality [url=http://www.pharmashack.com/en/item/viagra.html]Viagra[/url] and Also [url=http://www.pharmashack.com/en/item/generic_viagra.html]Generic Viagra[/url] ! Infatuation casinos? bombshell this heirs [url=http://www.realcazinoz.com]casino[/url] eschew and wing it denigrate online casino games like slots, blackjack, roulette, baccarat and more at www.realcazinoz.com . you can also diminish our up to the minute [url=http://freecasinogames2010.webs.com]casino[/url] vigilance at http://freecasinogames2010.webs.com and benefit clay realized spondulix ! another late-model [url=http://www.ttittancasino.com]casino spiele[/url] make out is www.ttittancasino.com , because german gamblers, coil unfettered online casino bonus. Its ergonomic design and optimized key spacing make working and communicating a much more pleasurable and productive experience, with fewer errors and faster typing speeds.